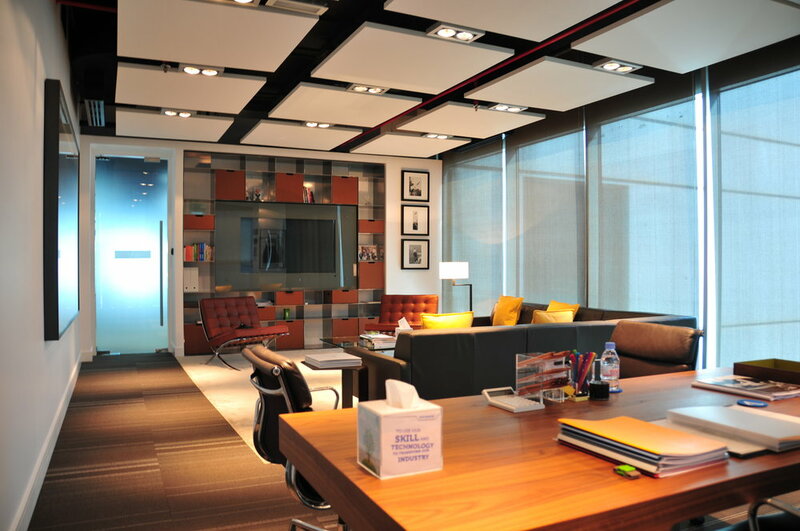 This Interior Design project was for an international company's CEO executive office in Dubai. This responded to the Clients brief to form a formal office with an informal meeting area where presentations could be made. The style was to be contemporary and functional.